Sony has sold approximately 2 million VR headsets in 2017, and now, with the release of its new aim controller, PlayStation VR gains huge momentum, and we expect to see it peak at E3 2017 in a few days. The numbers are big, but not really that surprising, as the PSVR is slightly more affordable than the Oculus Rift and HTC Vive, and it doesn't require more than a PlayStation 4 to work. A dark VR experience which expolores the ancient Greek myth in a new and a lot more horrifying way. It also looks a lot like God of War from what we've seen so far. An FPS stealth-horror game that we hope we'll be able to use the new aim controller with. In the end, we have to believe that what's good for one VR platfrom is universally good for VR at the moment, especially now, while the VR industry is still growing. Do you own a PSVR? 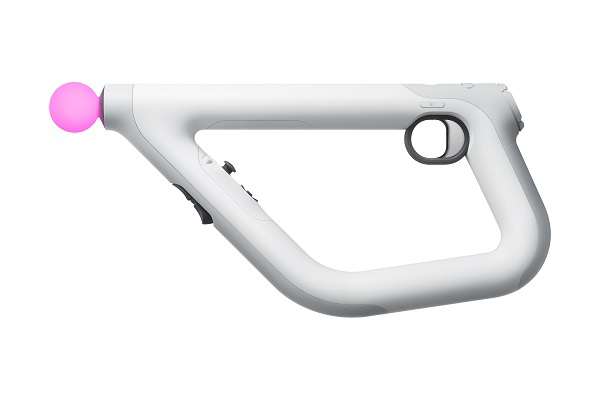 And an aim controller? What games would you like to play on it in the future? Share your experience with us here or on our Facebook page! We Are Looking for C++ Talents to Join Our Team! Beat Saber Multiplayer Is Coming! Our Site With a New Design! Happy New Year & What VR Games Will 2018 Bring Us? Huge Thanks Are in Order! Thanks for Sharing the News About Our Wireless HTC Vive Prototype! Here are the Winners of UploadVR's 2016 Game Awards! Elderly Ladies React to VR - Our Top 5 List! Doom 3 Is Now Playable on the HTC Vive! Best VR Headset? Here's Your Verdict! Quark VR Heading to the US! E3: All VR Game Trailers in One Place! Intugame VR Competing in the First Bulgarian Game Awards! Did You Miss Silicon Valley Virtual Reality Expo? We Got You Covered! 435 and Counting: Quark VR SDK Is Growing. Join Us and Create VR Content! Intugame SDK Is Now Quark VR… And It’s Up and Running! We’re Off to Silicon Valley! The 10-minute Restriction Is Down! Happy Holidays! Get Beta Access to Future Versions of Intugame VR! The 5-Minute Restriction on Intugame VR Is Down! Happy Thanksgiving! Intugame on the European VR Map! Welcome to Your New Reality!